With over 16 years in the real estate industry, Eric & Lisa West have the knowledge, expertise and tenacity to serve their clients with unsurpassed professionalism. They are uniquely qualified to provide expert advice to both sellers and buyers. As a result of having closed hundreds of transactions, they have the experience to not only help clients realize the best possible price, but also to help them avoid the many problems that can arise during the escrow process. They are is knowledgeable, trustworthy and hard working. They currently maintains a listing portfolio which includes the finest luxury estates, homes, condos and land. For his commitment to professional excellence, Eric was recently recognized as Realtor of the Year for Customer Service out of 500 real estate professionals in his previous nationwide company. Reputed as prompt, professional and discreet and a tireless advocate for his clients. As a longtime resident, Eric is known as "true expert" in the area. Your sale, whether it be as buyer or seller, will be managed calmly and intelligently, ensuring your confidence every step of the way. As an "A-Type" personality Eric has an exacting attention to detail with excellent communication skills. His business partner and wife Lisa along with their 4 adventurous boys enjoy the Hawaii lifestyle. The surfing, the beaches, and the absolute pristine weather. He will share with you all of the in's and out's of making a mainland transition. He has also experienced many sides of the islands. Every island is different and every part of each island is also very unique. It's good to know someone that has "been there done that." As an established and trusted real estate adviser, Eric West has consistently been a top producer representing the most discriminating buyers and sellers. As a broker professional, Eric has consistently focused on the luxury segment of this sophisticated market. In addition to his personal and professional designations, his company's exclusive affiliation with Elite Pacific Properties affords Eric the opportunity to provide his clients with the many benefits and services of the world's premiere marketing of luxury properties worldwide. Please read some of the following reviews. Eric West was absolutely a terrific realtor. 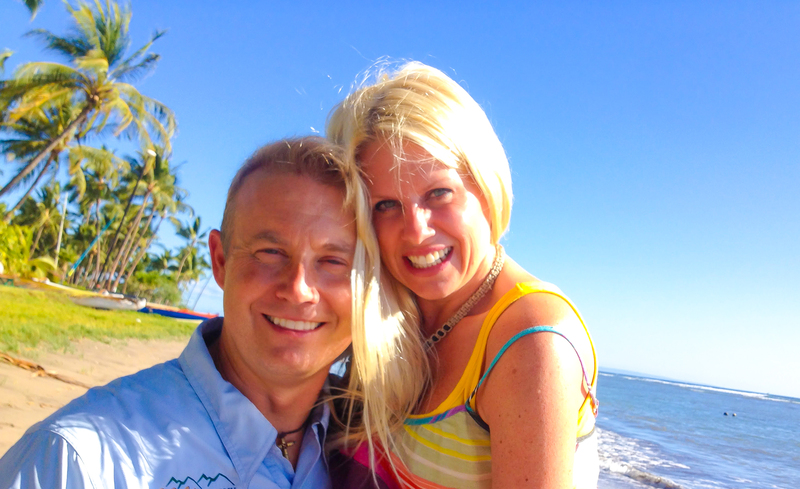 From the start of our process of searching for a home on Maui to the final steps of negotiations and closing, Eric went above and beyond in both his effort and insight. He is very professional yet with a relaxed and fun approach. He searched out potential properties for us and helped us navigate successfully through the steps of making an accepted offer, inspections and closing. He was always there with great knowledge and consistent communication. He did great research for us as well and ultimately helped us secure our first choice home at a great price. Eric was truly as good as it gets and we feel lucky to have found him. "Under all is the land." Those are first five words to the preamble of the Realtor Code of Ethics. Those five words combined with the "CODE" have been the keynote to my 15+ year real estate career and have spurred my drive, passion and motivation to pursue excellence and to "live" ethics in this business. In my career, I have successfully listed and sold millions of dollars in luxury homes, condominiums, farms, ranches and vacant land. My pursuit of understanding the LAND has to do with the fact that whatever your real estate transaction may be, it's the "land" we are transacting. Even though condominiums are "air space" and in Hawaii some properties are leasehold versus fee simple land - all important variations that buyers and sellers need to understand and more importantly, have knowledgeable and ethical representation. As the only previously Accredited Land Consultant (ALC) in the State of Hawaii, I have a proven track record of experience and knowledge that I can use to best serve your needs. Requirements for this designation include over 104 classroom hours and proven $10 million in closed volume & minimum 25 transactions in the previous 3 years. This is the oldest designation sponsored by the National Association of Realtors and many consider it to be the toughest to acquire. I believe that my highest and best service to YOU, is the proper application of this knowledge and wisdom as it pertains to YOUR transaction. Every deal is unique and different, with challenges and problems that will need to be identified, dealt with and resolved to your benefit. 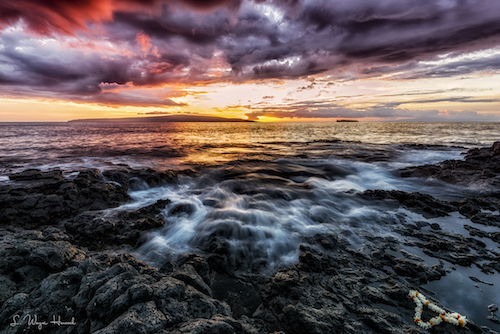 Prior to my association with Hawaii Life, I was the Principal Broker for Cabela's Trophy Properties for the entire State of Hawaii. As such, I am familiar with all of the Hawaiian Islands and can offer some perspective. My commercial office is on Front St. in Lahaina/West Maui, but I currently live in Kula/Upcountry and have also lived and am familiar with the Kihei/Wailea area. Many buyers have enjoyed discussing the various parts of the islands with me and also shopping all over the place! I don't mind driving around the island to serve my clients! Unlike some other brokers, I still don't think 26X48 miles is all that big! (Sellers appreciate the fact that I don't mind driving to Kula or Hana for a showing!) I have developed a vast database of high net worth buyers from all over the world from selling Trophy Properties on the mainland for many years. I was awarded the 2009 Customer Service Excellence Award out of 500 agents with Cabela's. Prior to real estate I was the VP of Sales and Marketing for a nationwide mortgage bank and began my career as a banker with USBank and KeyBank. I graduated from the University of Colorado Boulder with a Finance degree. I am also an Eagle Scout. I am happily married to my totally awesome wife, Lisa, for the last 16 years. I have four boys, Dylan (14) Ryan (12) Colton (10) and Hunter (6) We are very dedicated to our church, Faith Life Family in Wailuku Maui. For recreation, we totally embrace the Hawaii Life Style! We enjoy everything outdoors…surfing, SUP, hiking, SCUBA, hunting, fishing, mountain biking, snorkeling, swimming and all team sports! I would love the opportunity to meet you and your family! Learn about your needs and desires, and possibly serve you in your next real estate transaction.Call or Text 808-298-2030 for satisfied customer testimonials and references with phone numbers to past clients. Did you know that here in Hawaii you can buy real estate on 6 different islands? Did you also know that the real estate listed for sale is housed in THREE completely different and separate MLS systems? We solved the problem for you. Here at HawaiiRealEstate.org you can rest assured knowing that you can shop for all the available properties, on all the islands, at the same time (with just a few clicks).....and never miss an opportunity. Buyers can find listings for real estate in Hawaii from Honolulu, Oahu to Maui, The Big Island, Kauai, Lanai and Molokai. HawaiiRealEstate.org provides property listings for all of the Hawaii homes, condos, land and real estate for sale in the Hawaiian Islands. There are tens of thousands of real estate listings and thousands of real estate agents in Hawaii. For most buyers or sellers, one of each will do the job but how they drill down to that single listing and find the right broker quickly and simultaneously remains the question. The HawaiiRealEstate.org property search allows buyers to find every Hawaii real estate listing for every island in Hawaii and work with some of the best and brightest agents on the islands. Are you looking for a real estate broker in Hawaii? Eric West is a top producing real estate agent in Hawaii with local market knowledge and regional, national and international marketing exposure. We invite you to search our dynamic Hawaii MLS property search and contact Eric at any time to ask any question about any property in Hawaii. Island Sotheby's offers the most comprehensive list of real estate available to the general public. Listings include, Hawaii Luxury real estate, Beach front Homes, Vacant Land, Ranches, new homes with ocean views, to townhomes, condos and foreclosed properties. If you are just getting started with your Hawaii real estate search, we can get you started and provide the insight needed to assess the Hawaii Real estate market.